This very chic bouquet would be right at home in the most haute of high-fashion magazines. 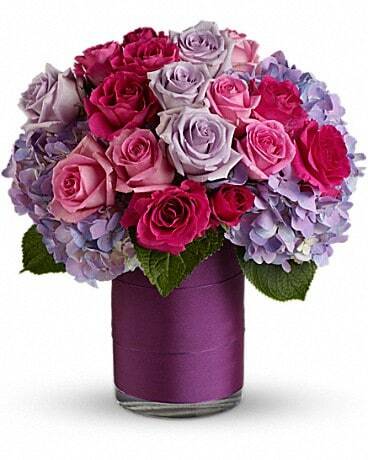 Pink and lavender roses and purple hydrangea in a dazzling clear cylinder vase wrapped with mauve taffeta ribbon - a whole a new trend in terrific. An awesome gift.